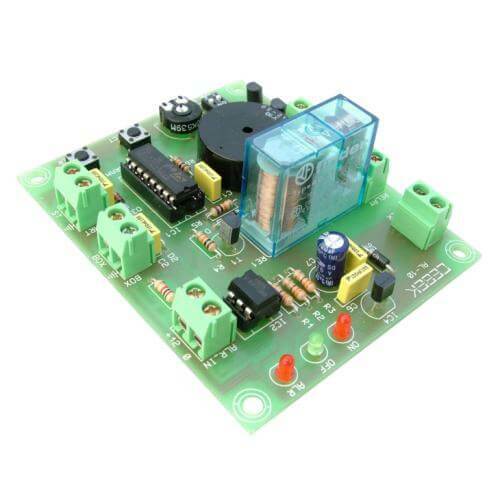 The CAL010 Burglar Alarm Module provides a simple but effective 12/24Vdc alarm system for home, factory, office, garage, shed, etc. Can be activated using the optional Keypad Access Control Module (Order Code CDA003). Alarm sensors, external sounder and power supply are not included. Timer (2 selectable levels): 0-25 sec. / 24 to 50 Sec. Exit / Entry delay: adjustable from 1 - 60 sec. Operating Current 80 mA max.